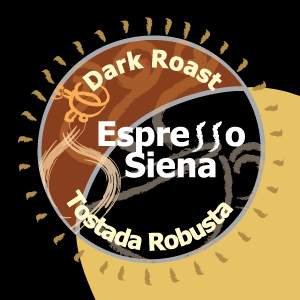 This ultra dark roast espresso blend is our most complex coffee blend and the culmination of two decades of fine tuning. It involves five different roasts with six varietal components. Sometimes referred to as a Cuban Roast, this is also a versatile espresso that is intensely aromatic with plenty of turbinado notes. A 100% Arabica blend with a head of creme so thick that is a surprise that it has no Robusto varietals, but it does not!